German Chamomile vitality essential oil has been used to support the body’s natural response to irritation*. This oil contains chamazulene, a compound studied for its ability to support the body’s natural response to irritation*. The oils blue color comes from chamazulene which also is what gives it its powerful properties. It supports the body’s natural response to irritation by clearing "energetic heat" from the body. This is also why is it known to dispel the emotions of anger and rage and promote peace and patience. Is this Oil the Same as Roman Chamomile? Nope, different oil! Click here to learn about Roman Chamomile! As I receive new tips and testimonials for German Chamomile Vitality Essential Oil they will be added to the page, so check back frequently! 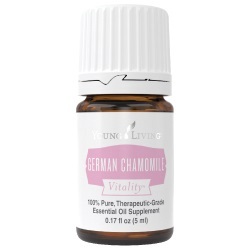 Want to Purchase Therapeutic Grade German Chamomile Vitality Oil? Buy German Chamomile Oil at The Oil Shop! What is the Genus Species? Matricaria recutita. Common names are Matricaria, Hungarian Chamomile and Blue Chamomile. What is the Origin of the Plant Name? Chamomile comes from two Greek words Kamai and melon meaning "ground apple". Did you know that German Chamomile was listed in Dioscorides De Materia Medica Europe’s? Yes, that was the first standard reference book for herbal treatments which was written in 78 AD. Want to Learn about German Chamomile's Emotional, Spiritual and Other Aspects? Then go to German Chamomile Essential Oil Page! Place in favorite smoothies, beverage, or baking recipe. Can this Oil be used for Pets? Yes but always start slow. Less is better than more! Note about Animal Use: Certain oils can be very toxic to cats. Citrus and pine products and oils in particular when using non therapeutic grade oils. Please consult your vet if you are not sure about applying any essential oil to your pet. What are the Safety Precautions? First, only use therapeutic grade essential oils for therapeutic results! Generally Regarded as Safe (GRAS) for internal consumption by the FDA. Although it may be used as a dietary supplement, it is advised not to use it in this manner for children under 6 years of age. 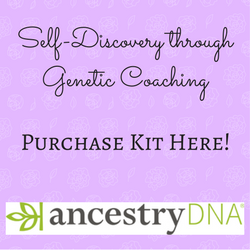 Some companies will substitute a species within the family and try to sell it for therapeutic use! For example, Maroc (Ormenis multicaulis) is sometimes sold as Chamomile and it should not be used as a substitute! Did you know that German Chamomile Essential Oil contains 2-5% Chamazulene? Yes, chamazulene can only be produced when distilling certain plants very accurately. Chamazulene is called an artifact for this reason. German Chamomile, Helichrysum, Yarrow and Blue Tansy Essential Oil are the only plants that will produce this highly sought after artifact.